Fezile Mkhize Crowned Cosmopolitan Sexiest Man 2019. He has been driving women crazy ever since bursting in the scene a few months ago. It came as no surprise when Fezile Mkhize was crowned Cosmopolitan Sexiest Man of 2019 over the weekend. “Thank You!!!! This one belongs to every single one of you that threw a vote my way and I’m overwhelmed by the positivity- You beauties,” Fezile said appreciating his fans. 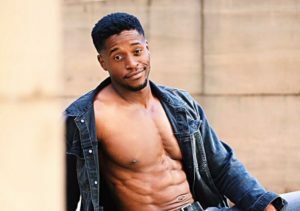 The post Fezile Mkhize Crowned Cosmopolitan Sexiest Man 2019 appeared first on Youth Village.